Back in 2011, we had the opportunity to check out the Circle Yer Wagens VW festival on the Isle of Man. 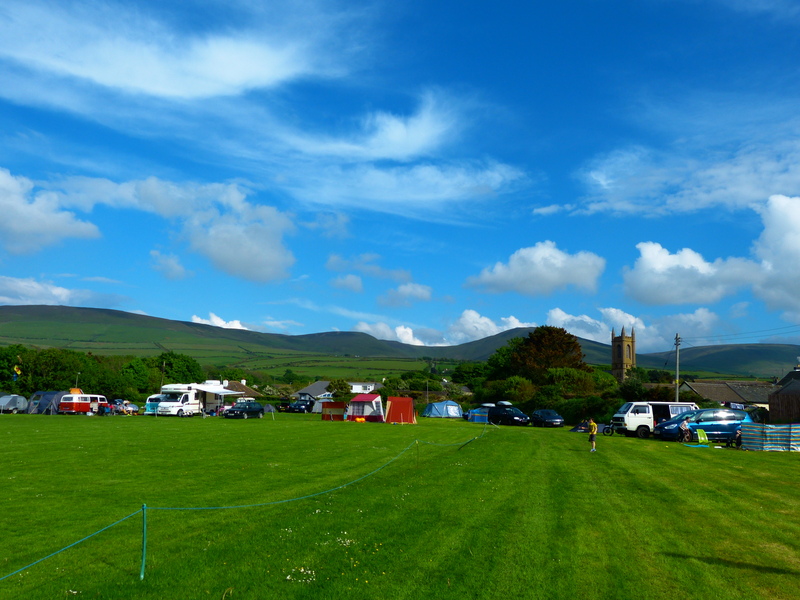 The Isle of Man VW Club had arranged a brilliant deal with Steam Packet for £280 to get your van over from Heysham, entry into the festival and 3 nights camping on the Michael United football ground. We had an incredible time on our 5 night stay on the Island and we vowed to come back soon. After clashing with several weddings, the chance arose to return this year. We had an early morning ferry booked on the 22nd of May. Despite a bit of a delay, the crossing was great with a kids area, bar and some half decent food. When we pulled onto the island, it was again raining, miserable and cold as it had been at first last time. We were excited though for what our next trip would hold. The weather for the first couple of days was pretty shocking – we had to pull the high top on our T5 down at night and frequent the club house to keep warm. Aside from the showers and kitchen downstairs, the club house has an upstairs function room. This is taken over by the festival with some excellent entertainment and activities and of course a few beers! When the sun finally showed itself, it stayed for the duration of our stay, so we again got to fully appreciate the beauty of this incredible place with its castles, greenery, clear blue waters and white beaches. We had promised ourselves last time that we would get a travel pass so on one day, we got the bus from Kirk Michael to Ramsay. The bus driver told us that we couldn’t get the one day pass on the bus, but she kindly radioed ahead to Ramsay so we could get our passes there. 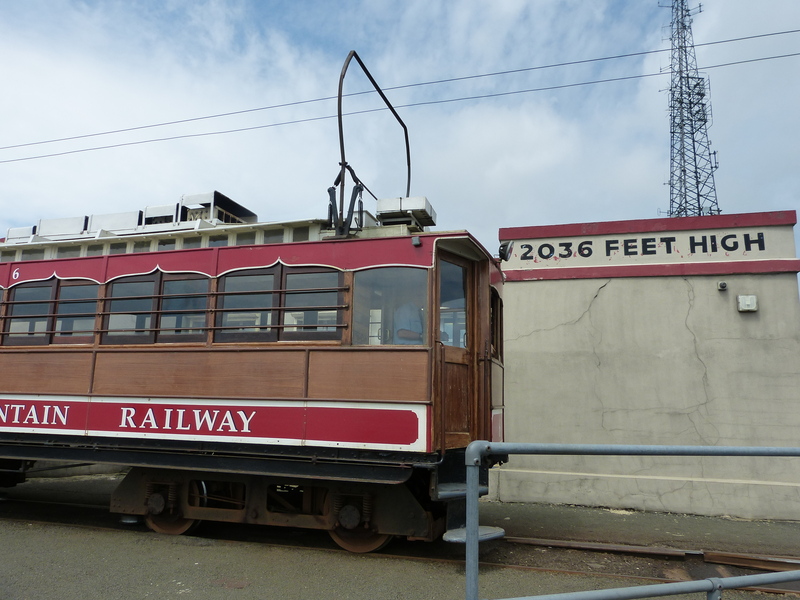 After picking up our ticket from the depot, we legged it for the next electric tram over to Laxey. This is a real treat of a ride with an old traditional open car looking right out over the island with stunning coastal views. 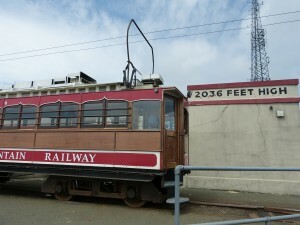 After a quick burger and pint of Okells at Laxey, we jumped on the tram up the mountain. Ascending up the 2000 feet of Snaefell is equally breathtaking as you get a great view of the Laxey wheel, the largest working water wheel in the world. We were kings of the mountain for 15 minutes. The owner of the café at the top of Snaefell is David. He also happens to be a member of the Isle of Man VW club and provided all of the food for the excellent festival barbeque. Our tram sailed past the Bungalow with all the bikers trying out the TT racecourse for themselves! We then got on a tram to Douglas followed by the horse drawn tram along the front to the TT marquee set up on the promenade for a pint of Bushy’s and Manx Cider. 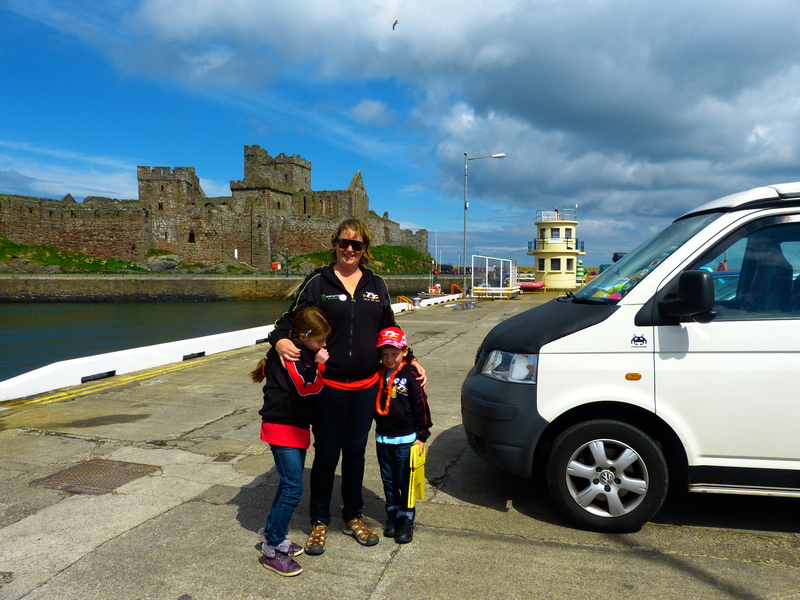 This was a real magical day out and at £32 for all the transport for 2 adults and 2 kids – a real bargain. 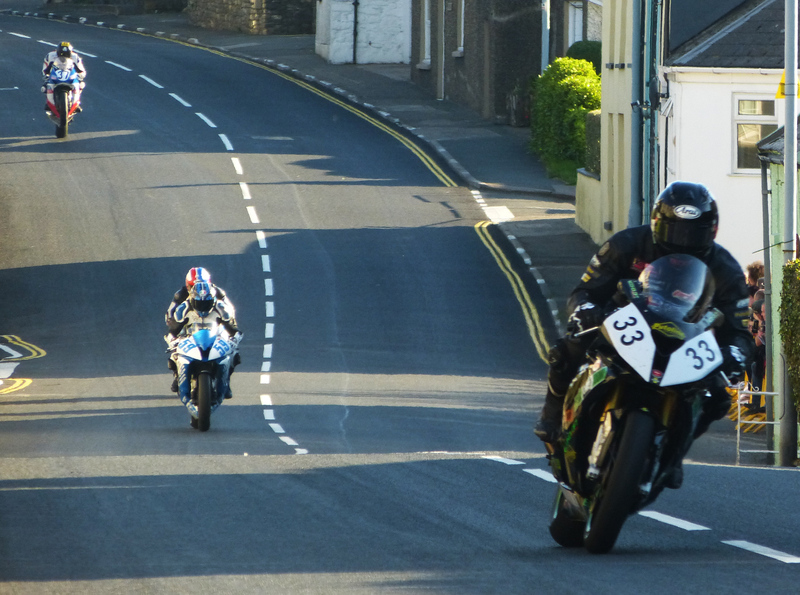 We got to see the TT practise laps on two evenings also, which is a real spectacle. 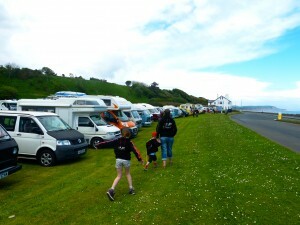 We travelled down to Douglas to the paddock to see all of the tents, bikes, riders and stalls. This was a lot of fun as we picked up some great TT tat and went on ‘The Michael Dunlop experience’. This is a bit like a roller coaster simulator, but you are Michael Dunlop in the TT – it gives you an incredible feel for what it would be like to be in the race. Little lad thought it was real also and couldn’t stop laughing! We hung around for a bit to catch a glimpse of Guy Martin and brushed past Michael Dunlop as he headed to start riding. Now in its seventh year, The Circle Yer Wagens festival itself is really friendly, small and action packed! 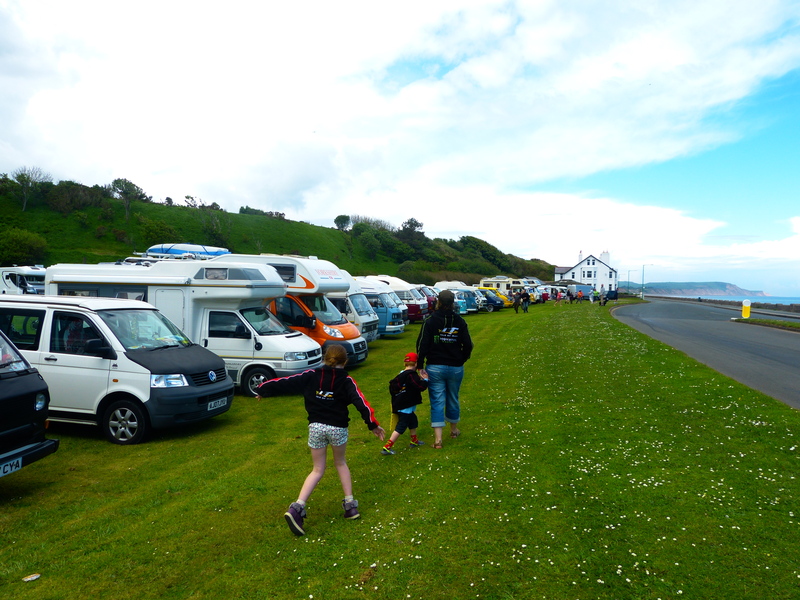 The VW club moved to the site at Kirk Michael five years ago as it was a better site for families and that is true as you can see the kids from your van, but there is plenty of space to play. The organisers Helen, Donal, Tracy and Liz really looked after everyone and created another cracking festival. There was live music, activities for the kids like lantern making and face painting and an excellent barbecue, a photo booth with props, which the kids loved. The enchanted forest fancy dress theme on the Saturday night saw some super costumes and added to the fun. 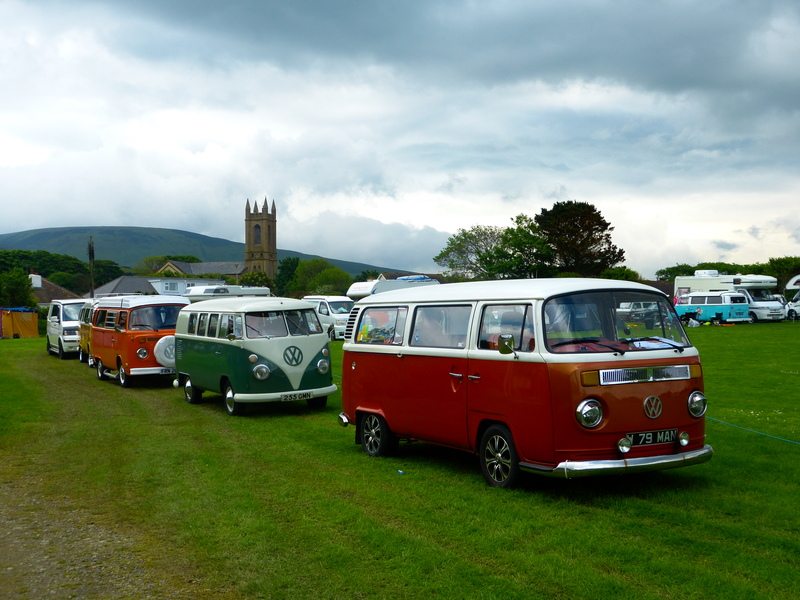 The drive out with all of the vans to Mooragh Park in Ramsey was really special again and it was brilliant to see all of the vans lined up in a row. The park itself was great for the kids with a nice café and a little water play attraction. There’s a picturesque 12 acre boating lake framed against the might of Snaefell with its sometimes menacing cloud cover. Like in several other areas of the island, you can easily apply to free camp here also, which is a cracking spot for it. Circle Yer Wagens was again an incredible six days for us. We headed back on the ferry with another smooth crossing headed for Arnside, but wishing we had a few more nights on the island. We’ll be back.